Former oil tycoon Mikhail Khodorkovsky is awaiting legal proceedings in the block for VIP-prisoners in Moscow’s Matrosskaya Tishina detention centre. The ex-Yukos CEO’s cellmates are economists of the same age. The former oil tycoon was placed in the block for VIP-prisoners, where he was kept during the investigation of the first criminal case against him, Kommersant Daily reports referring to Yelena Levina, Khodorkovsky’s lawyer. He was exclusively allowed to transfer all his books from Siberia to Moscow. 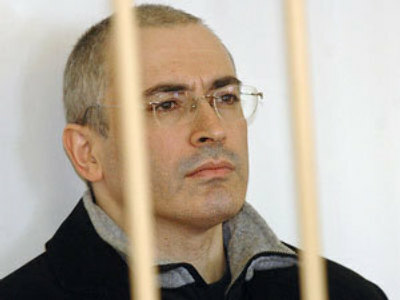 Khodorkovsky was put into a four-bed cell. “Economists, practically same age as me … there’s somebody to talk to”, Khodorkovsky told his lawyer at their meeting on Tuesday. Platon Lebedev was placed within the same cell block. According to the General Prosecutor’s Office, from 1998 to 2003 Khodorkovsky and Lebedev embezzled oil from some of Yukos’s subsidiaries, including Yuganskneftegaz, Samaraneftegaz and Tomskneft, for a total sum of more than 890 billion roubles ($US 24.7 billion). Later they allegedly laundered around 500 billion roubles ($US 13.8 billion) by selling oil through subsidiary firms. (Figures in US dollars were given according to exchange rates on February 25, 2009). Moreover, the former Yukos co-owners are accused of embezzlement and laundering of the Eastern Oil Company’s subsidiaries’ shares for a total sum of around 3,6 billion roubles ($US 100 million) during 1998-2000. They may be sentenced to up to 22 years in prison. 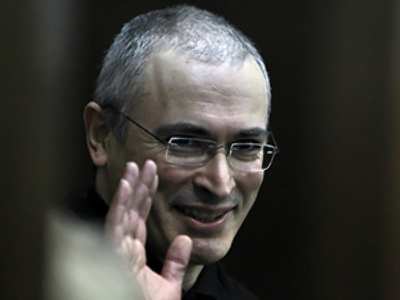 In 2005 Khodorkovsky and Lebedev were each sentenced to eight years’ imprisonment for fraud and tax evasion. 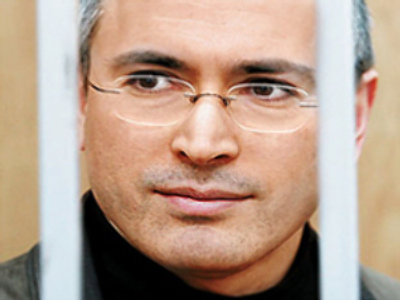 According to Yelena Levina, Khodorkovsky “was wondering what court will host the hearings, how does the hall look and whether it can house all the people interested in the case, especially journalists”. Preliminary hearings will be held on March 3 behind closed doors. Moscow Khamovnichesky Court’s spokesperson said they have already received more than fifty applications from journalists to attend the open hearings that will follow. The courtroom will not be able to house all of them. Thus the hearings will be aired live on big screens in the separate room given specially for the press. 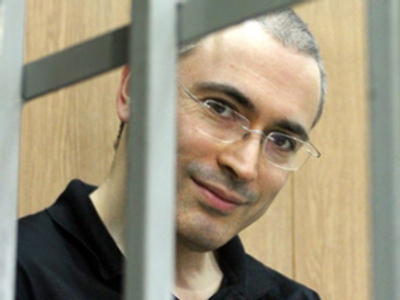 Khodorkovsky was transferred from Siberia to Moscow together with his former colleague Platon Lebedev and placed in Matrosskaya Tishina detention centre at the end of last week for the hearings of the second case launched against him and Platon Lebedev in 2006. The transfer of both the men from Chita, where they are serving a sentence on earlier charges, was ordered by a Moscow court. The Moscow Court refused to satisfy the claim brought in October 2008 by’s former cellmate Aleksandr Kuchma, who accuses the former oil tycoon of sexual harassment. This is the second time Kuchma had made a claim against Khodorkovsky. 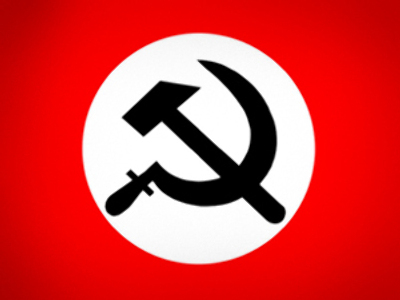 This time it coincided with launching of the second case against Khodorkovsky and Lebedev. Lawyers believe the Federal Penitentiary Service is using Kuchma to defame Khodorkovsky in the eyes of the public and aim to create a “negative [emotional] background” before the second case hearings. The previous claim prepared with the Federal Penitentiary Service’s assistance was addressed to court days before Khodorkovsky’s parole was considered back in 2006. The claim was not satisfied either, but parole was denied. Back then Kuchma allegedly cut Khodorkovsky’s face with a knife and explained that he did it because of previous sexual harassment. 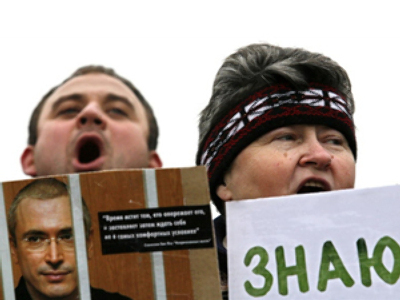 An examination revealed that there were no illegal actions taken by Khodorkovsky against Kuchma. The Ex-Yukos CEO’s lawyers brought documents demonstrating Kuchma’s history of mental illness and that he is registered with a psychiatrist.